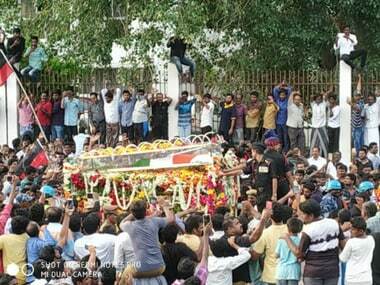 Amid cries of people hailing him as 'Thalaivar', DMK president Muthuvel Karunanidhi's last journey began with thousands of people paying their last respects. 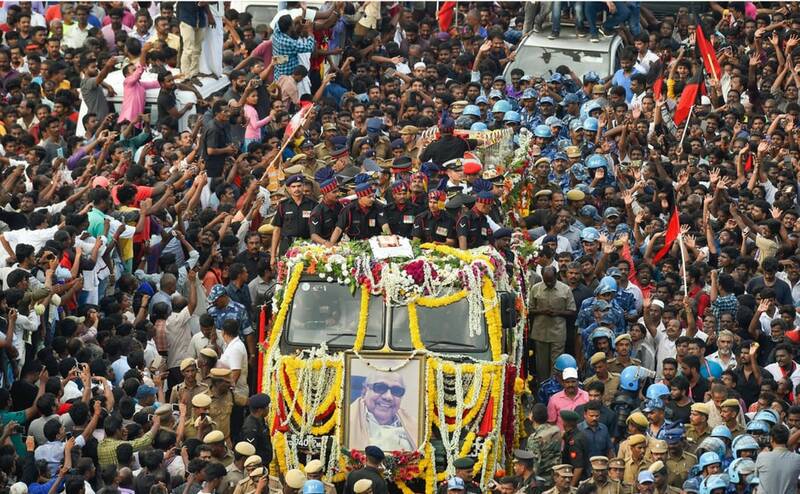 The country's high and mighty descended on the city to pay their last respects to Karunanidhi, who left an indelible imprint on the Tamil Nadu's public life for decades through his literary, cinematic and political achievements. 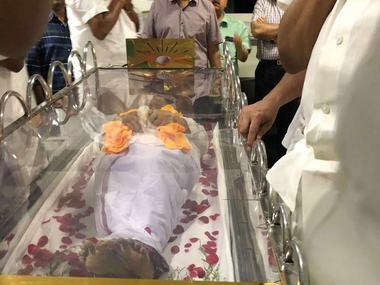 DMK patriarch Karunanidhi was laid to rest at Marina Beach with full State honours on Wednesday as his family members and follower bid farewell. 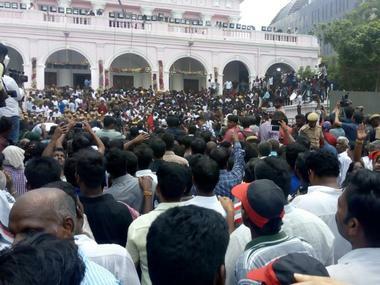 Two persons were killed and 35 suffered minor injuries on Wednesday in a stampede outside the Rajaji Hall in Chennai as hundreds of thousands thronged for a final glimpse of DMK leader M Karunanidhi, a hospital official said. 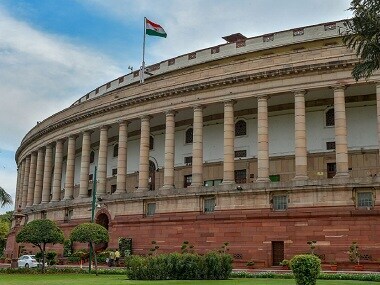 As soon as the Lok Sabha met for the day, Speaker Sumitra Mahajan informed members of the demise of Karunanidhi (94). Describing him as a "visionary" and a "leader of the masses", she said he spread his political philosophy through screenwriting and produced some of the best hits in Tamil cinema. 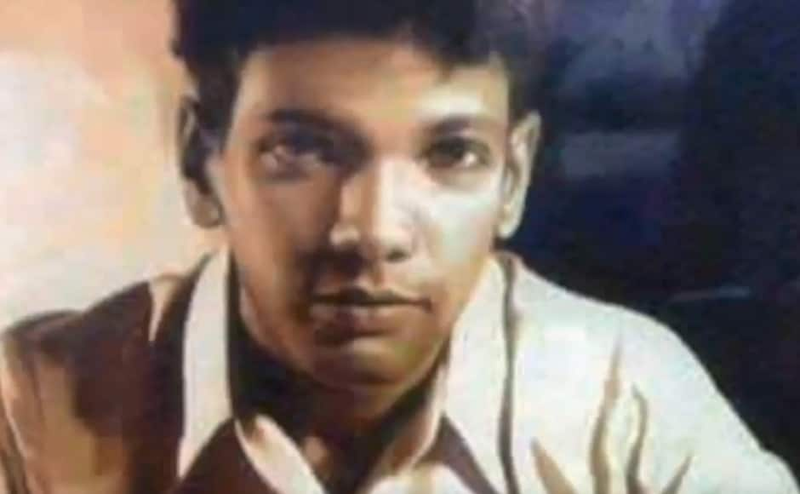 Age did not wither his pithy prose as Karunanidhi wrote his last script at the age of 90 for a television serial based on the life of 11th-century reformer-saint Ramanuja, who strove for an egalitarian society. 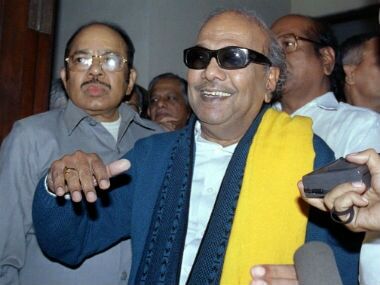 A script writer par excellence, M Karunanidhi began penning scripts for plays as a 20-year-old, his works becoming a vehicle for propagating the principles of the Dravidian movement. 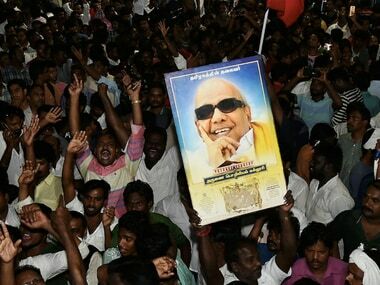 People queued up in large numbers early this morning at Rajaji Hall to pay their last respects to DMK president M Karunanidhi who died on Tuesday after prolonged illness. The Tamil Nadu government has declared a holiday for educational institutions and government offices on Wednesday as a mark of respect to DMK president and former chief minister M Karunanidhi, who died on Tuesday evening. 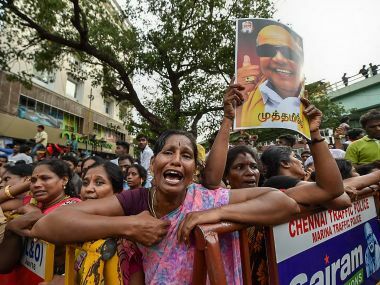 The Madras High Court on Wednesday morning at 8 am would decide on the DMK's plea against Tamil Nadu's government's decision to deny burial of the party president M Karunanidhi's body at Marina Beach.